We are proudly offering and extensive list of sweet and savory items. 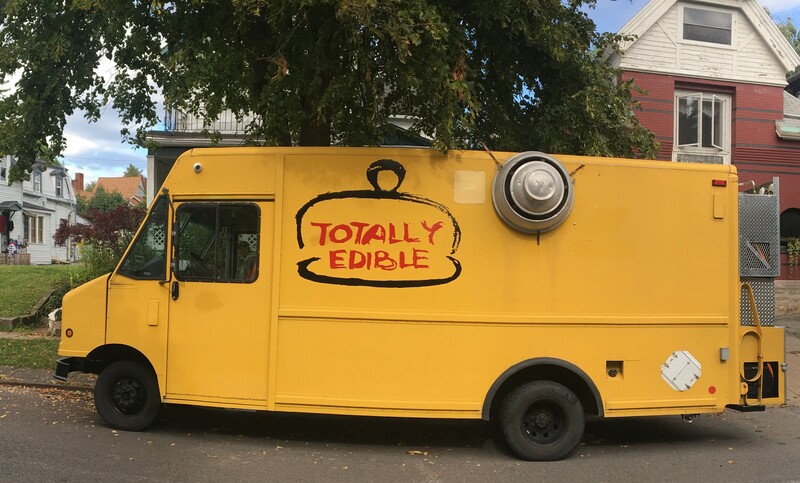 Mobility of food truck gives an opportunity to be approached at multiple locations and events. Quality ingredients are chosen to create appetizing experimentation for you to try. We hope by one crepe at the time we will be able to satisfy your desire and turn you into Totally Edible’s lifetime follower. Many years ago it was a dream to serve crepes (blini) in Western New York. The idea was popping out from first days after moving to Buffalo from Brooklyn, New York ten years ago. Crepes is something you do not see a lot. It is something unique at some degree. The dream was to bring a soft buttery taste and light aroma for curious and experience food lover. We are passionate about crepes and thrilled about giving our customers the best quality using the finest local ingredients wherever possible. Everything we do is made fresh and from scratch. We do not compromise on wholesomeness of our product. 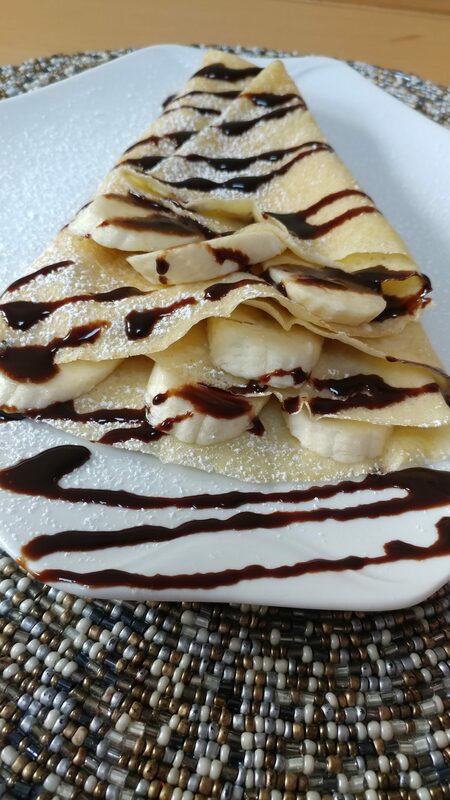 Offering a wide variety of sweet and savory options, we give you the opportunity let your imagination run wild and pick your favorite crepe. The possibilities are endless. We are strongly believe good food is a must even on a go.